Does your Call Center need Recording and Monitoring? Does your Contact Center need VOIP Call Recording and Monitoring? Our 1700+ contact center recording customers have awarded us best-in-the-industry customer satisfaction scores, and we are on the 2018 Gartner Magic Quadrant for our industry. Business and technical leaders who choose ZOOM know this is what makes us unique in the industry—our call recording and monitoring works better than every other vendor out there. ZOOM solves the hardest contact center call recording and monitoring problems in the world. It is proven in multi-location, high availability scenarios with advanced media lifecycle management and security support, as well as deep Cisco, Genesys, Avaya, SIP (E.g. Audiocodes or ACME), and Radio integration—we record screens and video too. ZOOM supports virtually every regulatory and compliance requirement in the contact center industry—most recently GDPR and MiFID II. 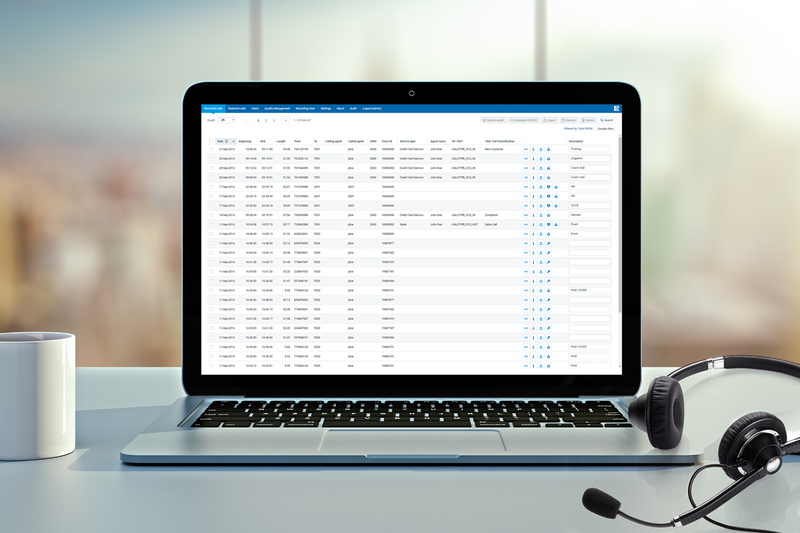 Call recording and monitoring integrates with ZOOM quality management and analytics. as well as CRM and call center infrastructure. Businesses need contact center recording and monitoring that is 100% reliable, and ZOOM delivers. According to McKinsey, "For every 10-percentage-point uptick in customer satisfaction, a company can increase revenues 2 percent to 3 percent." You can pick other companies, or you can pick the company most likely to make and keep you satisfied—we are #1 in customer satisfaction in our industry for a reason. Over 1700 voice engineers, call center directors, and partners have chosen ZOOM and given us an 86+ NPS—we score 8, 9, or 10 on 93+ of NPS surveys. Contact centers record and monitor calls with ZOOM in over 90 countries and at companies from dozens to thousands of agents. We are known to have the best contact center recording and monitoring in the industry—as most customers put it, "Unlike your contact center recording competitors, your recording just works." We humbly say, “this is world class” :) and we’ve won both Golden Bridge and Stevies awards for our results.